Plasma magnesium levels are normally maintained within the range 0.7-1.1 mmol litre:”. Like potassium, magnesium is principally an intracellular cation. 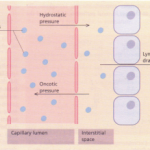 Regulation of magnesium balance is mainly via the kidney. Primary disturbance of magnesium balanceis uncommon, hypo- or hypermagnesaemia usually developing on a background of more obvious fluid and electrolyte disturbances. Disturbance in magnesium balance should always be suspected in association with other fluid and electrolyte disturbances when the patient develops unexpected neurological signs or symptoms. 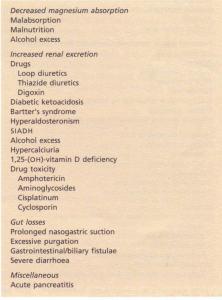 This most often develops as a result of deficient intake, defective gut absorption, or excessive gut or urinary loss . It can also occur with acute pancreatitis, possibly due to the formation of magnesium soaps in the areas of fat necrosis. Calcium deficiency usually develops with hypomagnesaemia. Symptoms and signs include irritability, tremor, ataxia, carpopedal spasm, hyperreflexia, confusional and hallucinatory states and epileptiform convulsions. 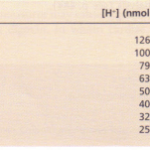 The serum magnesium is usually <0.7 mmol Iitre”. An ECG may show a prolonged QT interval, broad flattened T waves and occasional shortening of the ST segment. 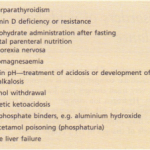 This involves the withdrawal of precipitating agents such as diuretics or purgatives and the parenteral infusion of 50 mmol of magnesium cWoride in 1 litre of 5% dextrose or other isotonic fluid over 12-24 hours. This should be repeated daily until the plasma magnesium level is normal. 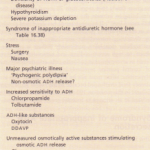 This primarily occurs in patients with acute or chronic failure given magnesium-containing laxatives or antacids. It can also be induced by magnesium-containing enemas. 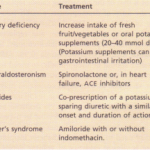 Mild hypermagnesaemia may occur in patients with adrenal insufficiency. Causes are given. 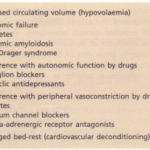 Symptoms and signs relate to neurological and cardiovascular depression, and include weakness with hyporeflexia proceeding to narcosis, respiratory paralysis and cardiac conduction defects. Symptoms usually develop when the plasma magnesium level exceeds 2 mmol litre “. Treatment requires withdrawal of any magnesium therapy. An intravenous injection of 10 ml of calcium gluconate 10% (2.25 mmol calcium), is given to antagonize the effects ofhypermagnesaemia and dextrose and insulin (as for hyperkalaemia) to lower the plasma magnesium level. Dialysis may be required in patients with severe renal failure. Respiratory failure requires artificial ventilation until the plasma magnesium level returns to normal level.